By serendipitous luck, I found the following blog that focuses on art outcomes in the elementary grades. Author Meg Riley, apart from having students engage in the production of art works, annotates how she connects a lesson to history, aesthetics, and criticism. It is worth a visit if you are looking to bring these important outcomes into your classroom. Riley’s blog also serves as a reminder that “text” should not be limited to just words on a page. You can get to a number of Common Core standards by understanding that the artistic disposition of careful observation attends to important literary habits. That is, by asking text-dependent questions about a masterpiece, you can have students focusing on what a sculpture, painting, photograph, (aka text) says, how the artists says it and what it means. 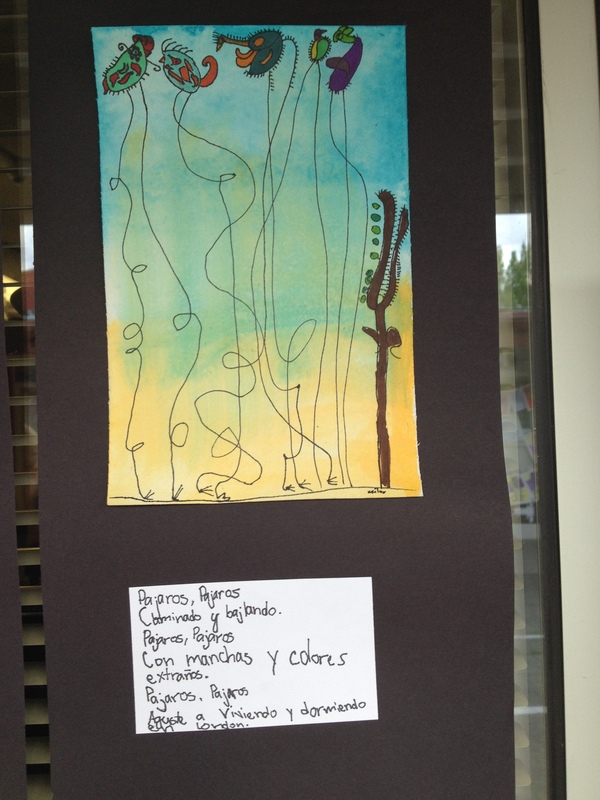 This entry was posted in Content Knowledge and tagged Art, CCSS, Common Core, meg riley, NVACS, schulpture. Bookmark the permalink. Not sure about your statement that: “It is worth a visit if you are looking to bring these important outcomes into your classroom.” Shouldn’t it be more about we SHOULD be, must be bringing these important outcomes into your classroom? Along with deep learning about science and social studies and PE and more? Too many teachers are still focused on just language arts and math after years and years of being told that was what is best for students … does this kind of statement support a broad, rich curriculum for ALL students? Maybe I’m being too picky, but I deal with that culture of language arts and math only for “those students” mentality daily. I hope people take the time to read the last paragraph. I tried to make it clear that if we are really going to boost achievement, educators have to be working in all the content areas.